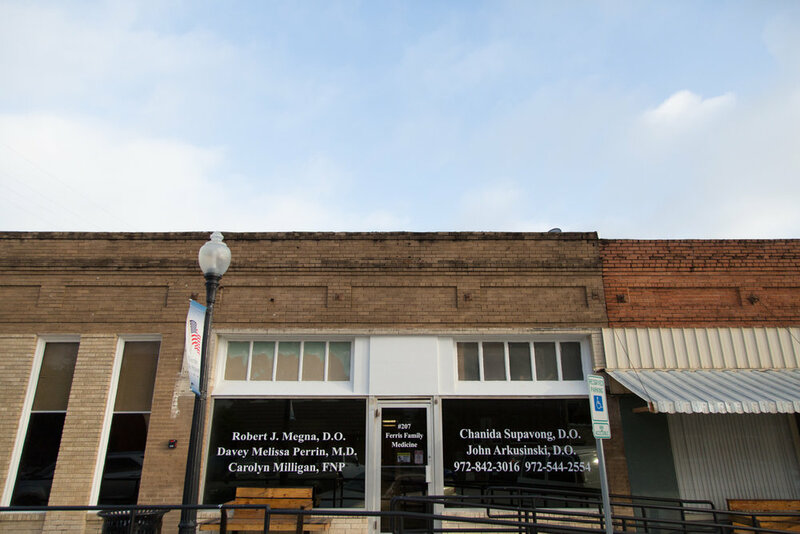 We are located on W 5th St. in downtown Ferris, Texas. Just off of Highway 45, and 30 minutes southeast of Dallas. For directions, click the link below or give us a call. We are committed to personally knowing and caring for each of our patients. Our goal is not only to treat our patient's current needs, but also to prevent illness and disease from their future.